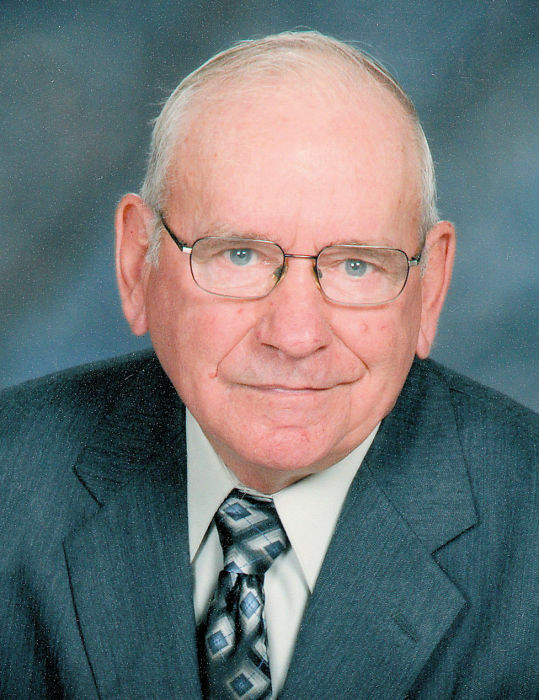 Dale Lewandowski, 83 of Loup City, NE died Wednesday, June 13, 2018 at his home in Loup City surrounded by his family. Mass of Christian Burial will be held at 10:30 a.m. Monday, June 18, 2018 at St. Josaphat’s Catholic Church in Loup City. Father Richard Piontkowski will celebrate the Mass. Burial will be held at the Evergreen Cemetery in Loup City with military honors by the Loup City American Legion Post #48. Visitation will be from 5:00 p.m. to 7:00 p.m. Sunday, June 17 at St. Josaphat’s with a Vigil Service to be held at 7:00 p.m. at the church. Memorials are suggested to the St. Josaphat’s Catholic Church or donor’s choice. Dale A. Lewandowski was born March 15, 1935 in Sherman County, NE to Anton and Sophie Lewandowski. He graduated from Loup City High School in 1952. On September 28, 1957 he married Margaret Ann Reineke at St. Francis Catholic Church in Randolph, NE. He served in the Army from April, 1958 to September, 1959. Dale lived in Loup City his entire life. Dale was a butcher, surveyor and custodian early in his career. More recently, Dale worked as a welder for G & G Manufacturing in Loup City, a position he retired from after 31 years of service. Dale was a past member of the Loup City Volunteer Fire Department and current member of St. Josaphat’s Catholic Church. He loved gardening, fishing, hunting, the St. Louis Cardinals, polka music and spending time with his family and friends. He is survived by his wife Margaret (Marge) Lewandowski of Loup City; son, Mike and wife, Karen Lewandowski of Kearney, NE; daughter, Cindi Friedman of St. Paul, NE; sons, Bill Lewandowski of North Platte, NE; Jerry Lewandowski of Loup City, NE; daughters, Amy and husband, Wes Christensen of St. Paul, NE; Ann and husband, Paul Morrison of Urbandale, IA; son, Chris and wife Keri Lewandowski of Lincoln, NE; thirteen grandchildren and four great grandchildren; sisters, Esther Kaminski of Omaha, NE; Donette Holcomb of Arcadia, NE and Margaret Larimer of Billings, MT; many nieces and nephews. He was preceded in death by his parents; brothers, Carl and Fred Lewandowski; sisters, Evelyn Janulewicz, Rozella Silver, Harriet Polski and Mary Ann Owens.